Thanks to the generosity and kindness of individuals in our community and because of the hard work and effort from pre-k students at the Culver Family Learning Center, apple and peach trees have been added to the community garden there. The Department of Metropolitan Development Evansville donated funds to purchase six different varieties of apple trees and two kinds of peach trees. 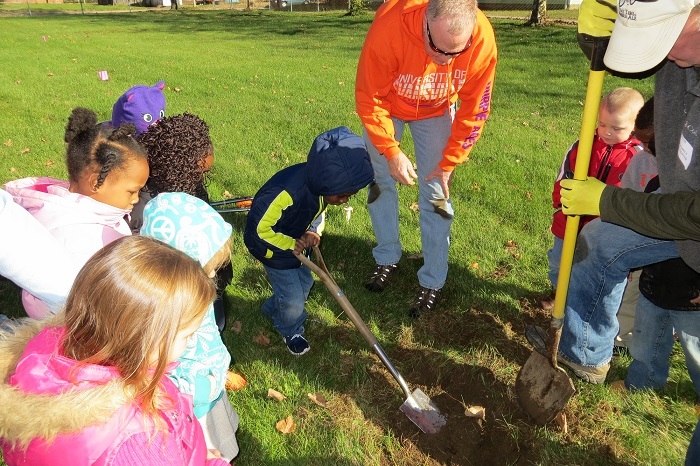 On Friday, November 20, the trees were planted with the help of Bill Engelbrecht, Darryll Veach, and students from classrooms. during breakfast and lunch, and be shared with the neighbors in the community.